Nawanshahr: Nawanshahr Police have registered a fresh case against Arvinder Singh, who was sentenced to life imprisonment along with two others for waging war against the Government of India, and three others under the Arms Act and under provisions of Unlawful Activities Prevention Act (UAPA). He was taken on seven-day police remand on Saturday, two days after the fresh FIR against him. According to the FIR registered at Balachaur police station, Arvinder allegedly supplied a pistol and six bullets to Gurdeep Singh, who was arrested in a case under NDPS Act on January 17, 2019, for taking revenge for sacrileges at Saroya and Bichhodi villages. However, evidence does not support police claims. While the sacrileges at Saroya and Bichhodi villages happened in January 2017 and June 2018, Arvinder has been in jail since his arrest by Nawanshahr police on May 25, 2016. Besides Arvinder and Gurdeep, Jaspreet and Harshdeep were also booked under Section 25 of the Arms Act and sections 10 and 13 of UAPA. In the earlier case, police had booked him, and two others, under UAPA along with sections 121 (waging or attempting war against the Government of India) and 121-A of the IPC (conspiracy for the war). 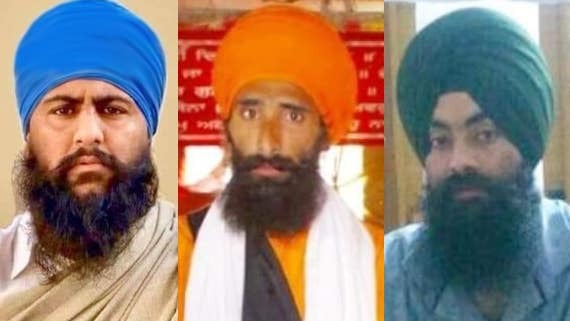 “Arvinder and co-accused Surjit Singh and Ranjit Singh have remained in jail after their arrest in 2016,” said Ropar-based advocate Sarabjit Singh Bains, who appeared for accused Ranjit. Nawanshahr SSP Deepak Hilori replied that he could not disclose anything as the accused was still being questioned. “We are verifying everything. I am in touch with my senior officers and everything will be cleared,” he said. According to FIR No. 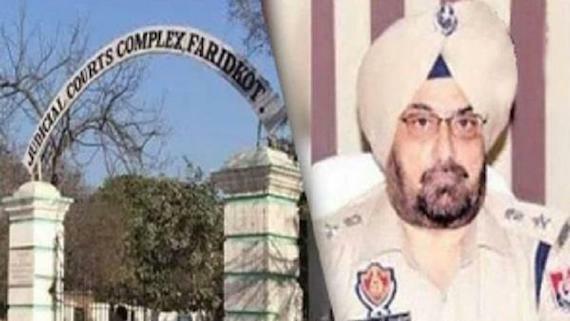 7 registered on February 7, 2019, at Balachaur Sadar police station on the statement of SHO Gurmukh Singh, he (SHO) received a call from CIA staff Nawanshahr in-charge inspector Ajitpal Singh, saying Gurdeep Singh, a resident of Kaulgarh village, Balachaur, had told his interrogator ASI Jarnail Singh that he was supplied a weapon by Arvinder Singh alias Mitha and hidden it in his fields in the village. 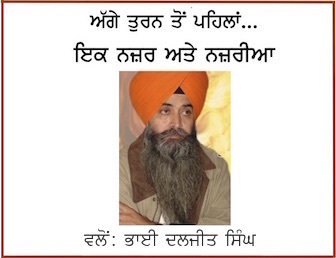 “Arvinder Singh asked me to work with Babbar Khalsa and then gave me the responsibility of taking revenge of sacrileges at Saroya and Bichhodi. After a few days, Arwinder called me on WhatsApp, telling me to go to Delhi… I reached Delhi along with my friend Jaspreet Singh and a person there gave us over Rs 1.8 lakh. Then Arwinder provided us the weapon and ammunition. I buried the weapon near my tubewell,” the FIR reads, attributing the disclosure to Gurdeep. When TOI called SHO Gurmukh Singh regarding Arwinder’s arrest in the case, he said he could not hear properly and disconnected the call. He did not take the calls after that. Arvinder Singh, 29, of Nawanshahr; Surjit Singh, 27, of Gurdaspur; and Ranjit Singh, 29, of Kaithal in Haryana – were convicted by additional sessions judge Randhir Verma on January 31. They were sentenced on January 5 on the basis of “books, literature, pamphlets” kept by them for inciting people to establish Khalistan. According to legal experts, it is first case in which accused have been convicted for waging war against the state on the basis of literature and without any recovery of arms or any act of violence. Above news was originally published by Times of India, under title: “Waging war against state: Convict now booked for supplying arms” by “IP Singh” in 12 February, 2019 newspaper (Chandigarh Edition, Page 5). It’s also available on ToI webpage URL: “https://timesofindia.indiatimes.com/city/ludhiana/waging-war-against-state-case-lifer-booked-for-supplying-arms/articleshow/67949578.cms“. Its re-produced as above for the readers of Sikh Siyasat News (SSN). SSN is Thankful to the original publisher and the author.